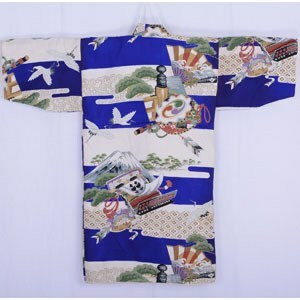 This is a lovely checkered blue Japanese toddler's padded kimono with images of cranes and Mt Fuji. It would make a lovely wall hanging. Some staining due to age and wear.